Root canal treatment is a dental procedure that’s feared by many. However, this is not exactly surprising. A survey done by the American Association of Endodontists revealed that most people base their fears on other people’s experiences as opposed to their own. Incorrect information circulating about root canal treatment has undoubtedly prevented many people from making an informed decision about the procedure. For instance, some patients would opt to have their tooth extracted rather than saving it through root canal treatment. Truth: This one ranks high on the list of the most common root canal treatment myths. Fortunately, nothing can be farther from the truth. The perception that root canal treatment is painful stemmed from the early methods used to perform the procedure according to the American Association of Endodontists. Root canal treatment is actually resorted to because a tooth is causing severe pain secondary to a condition that’s irreversible. A broken teeth, infected pulp, slowly dying nerve, and pulpitis are just some of the most common reasons root canal treatment is performed. In other words, root canal treatment is done to alleviate pain. It is reassuring to know that most people who have had root canal treatment did not experience any pain during the procedure. On the contrary, most reported feeling way better afterwards. Myth: Several sessions are needed to complete a root canal treatment. While restoring the tooth is required after a root canal treatment is performed, it is not considered part of the process. Myth: Root canal treatment can cause illness. Truth: The belief that bacteria trapped inside the tooth after root canal treatment can cause illnesses like arthritis, kidney disease, and heart disease first stemmed from the research conducted by Dr. Weston Price. However, the research was conducted from 1910 to 1930—that’s almost a 100 years ago! Fortunately, recent researches were not able to successfully prove that root canal treatment can indeed cause illnesses. Myth: Root canal treatment is only resorted to when the teeth hurts badly. Truth: The teeth does not have to be painful for root canal therapy to be required. Teeth that are considered dead may require root canal treatment to prevent it from becoming infected. Myth: The benefits of root canal treatment is not long lasting. Truth: This misconception most likely came from those patients who experienced their tooth breaking a few months (or even years) after the procedure was performed. As soon as the nerve is removed from the inside of the tooth, the blood supply is also cut. As a result, the tooth can get brittle and the eating and grinding can cause the tooth to break. However, this can be remedied by ensuring a crown is placed on the tooth so it is kept sturdy. 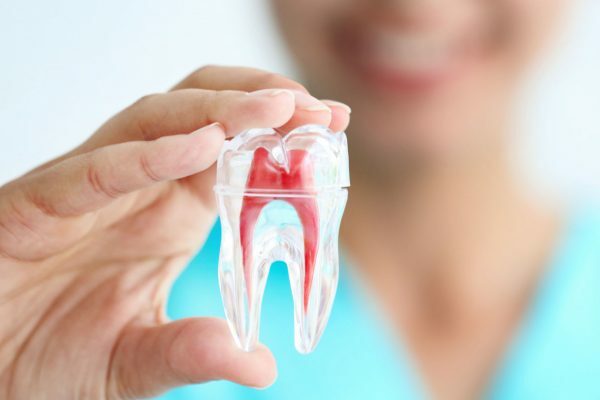 Why it’s Smart to Have Your Impacted Wisdom Teeth Removed? What Will Happen if You Ignore Your Wisdom Teeth Removal Procedure?